This is what everyone is looking for! 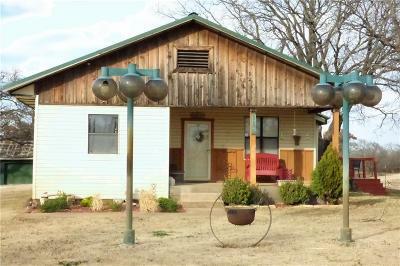 A nice, spacious country home on 6 acres that's only 6 miles from town with paved highway frontage. 3 bedrooms, 2 and a half baths, with 2056 sq ft. Plenty of pasture for your goats or horses, co-op water and a private well. Well water can be used in the house or just for livestock and lawn sprinkler system. House has 2 spacious living areas and a bonus room off of the front bedroom. A tree shaded deck on the east side of the house makes a beautiful place to enjoy the evenings or your morning coffee. Also has an attached, enclosed metal carport, and an older garage storage building. Call for an appointment!